Our economy pack of multi-purpose solution contains three 300ml bottles. This is an improved formula designed to provide even greater comfort of wear. Every bottle comes with an antibacterial lens case. strong>Opti-Free Replenish is a highly effective multipurpose solution designed for moisturising and storing soft contact lenses. 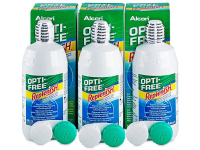 It was developed by Alcon based on the original formula of its Opti-Free Express solution. 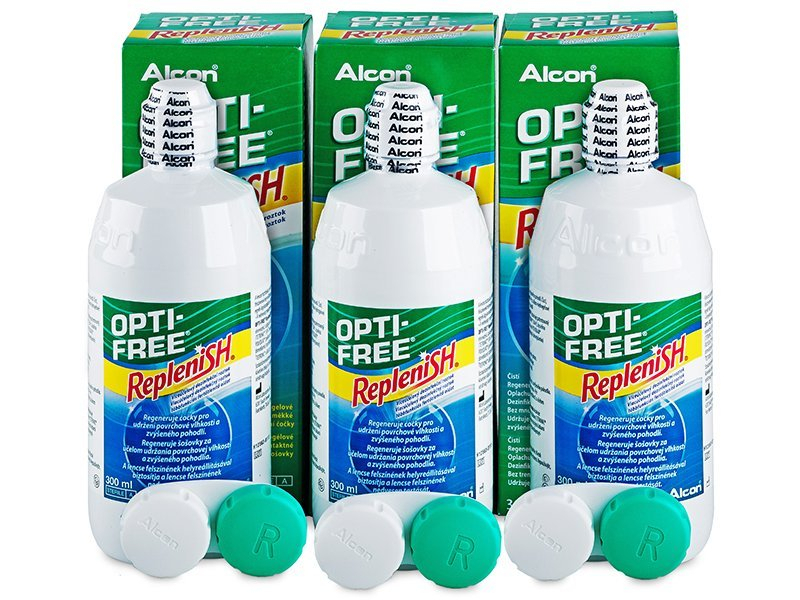 The new, updated Opti-Free Replenish solution contains added and improved ingredients to ensure long-lasting comfort for contact lens wearers. This package contains three 300 ml bottles of solution and three contact lens cases included.